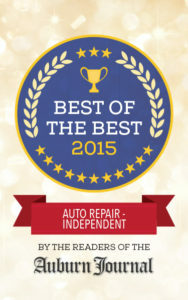 All of us here at Master Technicians are happy to help assist you in any way possible. Whether you have a question, need advice, or are simply shopping around, please do not hesitate to call us during business hours or send us an email 24/7. You can send us an email using the form below or click the green email button on the top right of this page. One of our staff members will happily reply as quickly as possible. Like Us on “Facebook” and help spread the word about Auburn California’s Leading Independent Honda, Acura, Toyota, and Lexus repair and maintenance facility.